-Pierce Brunson, Owner Firefly Event Photography & Entertainment, LLC. -Jeffrey White, Author of The Three Pillars of Strength: Increasing your Physical, Mental and Spiritual Fitness . White is a certified personal trainer, wellness coach, author, and motivational speaker. He is the owner of Jeff White Fitness Solutions LLC. –Gary Hartfield, Author of Stand. Hartfield is the president and CEO of Serenity Village Inc, Serenity Village Insurance & Consulting, and Sweet Talk Wireless. -Juliet Kyes, Co-Author of OMG! What’s the Focus? 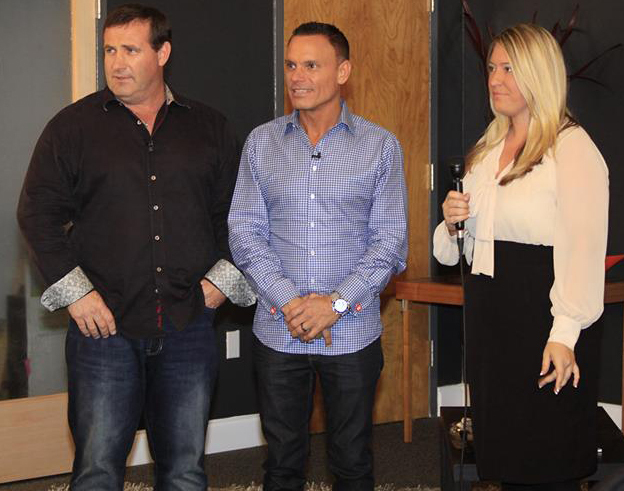 Along with her parents, Kyes coaches business owners at their firm ActionCOACH Tampa Bay. -Karen Mertes, Author of Plaintiff 101. Mertes is founder and president of Fulfill Your Destiny, Inc., a 501(c)(3) non-profit dedicated to helping people whose careers have been altered by injury or other unforeseen circumstances. – Miroslava Espinosa, Author of The Little Amazonian. In her book, Espinosa tells a modern-day survival story. She reflects on her memories of her close encounters with wild animals, struggle for education, food, money, and myriad of health issues.